As I work on reposting the articles that I wrote for PinkFae, we come to entry number 11. This post was originally published on 13 March 2016. Enjoy! I have talked at some length about board games, and a little about one specific roleplaying game, but I haven't yet talked in general about my favourite kind of games: roleplaying games. It's not surprising that I enjoy RPGs; as I've mentioned here before, I am a storyteller player type, which means that I most enjoy games that follow Freytag's pyramid, especially if they involve character growth and the development of interpersonal relationships. Given the right gaming group, roleplaying games are the best vehicle for telling stories as a game that you can hope to find. So I'm going to talk today about this wonderful type of game. A local medieval re-enactment group recently held a special event, and I chose to take part. 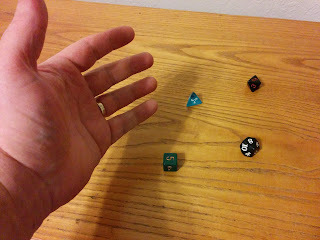 Specifically, the group hosted an RPG night; several people volunteered to GM a one-shot introductory game, and the others chose one of those games to play. 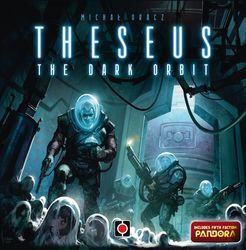 The idea was to give veteran gamers a chance to play, if only briefly, and to give players an opportunity to experience a new system, and to give newbies the prospect of getting a taste of tabletop roleplaying games for the first time. In case you're curious, there were six total GMs, running the following games: Dungeons and Dragons (because of course), Pathfinder, Starfinder, a Star Wars game using a modified Warhammer 40K system, Changeling: The Dreaming, and Fate Core. Surprisingly enough, I was not the one running Changeling: someone else had already offered to run that one, so I ran Fate instead. But here's what I thought was interesting: a good friend of mine was very nervous about playing. She ended up joining my Fate game, but in the weeks leading up to the event, she asked me several times if it would be a problem that she had never really gamed before (technically, she had, but only in a limited way... more on that in a moment). I reassured her that I was very familiar with GMing for newbies, and had introduced quite a lot of people to the hobby over the years. We have come to another PinkFae Archive, and this one is another one of the board game reviews that I wrote for that site. I hope you enjoy it! We have come to another Inclusive NPCs entry. As a reminder, the idea behind this series is to help promote inclusivity in the gaming community by featuring a diverse cast in our games. But as not everyone finds it easy to create interesting, dynamic, and plausible minority characters for their stories. So I am providing a number of NPCs from marginalised communities to be freely used by anyone who wishes to do so. The stats for each are provided in the D20 system, GURPS, the original World of Darkness, and Fate Core. This week's NPC is Da'kuan Newton. He is a black man who was born in an area that is known for being ethnically segregated. He grew up in poverty, but his parents emphasised the importance of compassion and good will. He never really learned to fight, so he has suffered many injuries at the hands of others, but he still manages to maintain a mostly optimistic view of his fellow humans. He's tough enough that he can usually survive a fight with no serious injuries, but his real gift is in his words. He is a skilled diplomat, and often is able to talk his way out of a fight. I have often heard people talk about 'game balance.' It's usually mentioned peripherally; I tend to encounter it when someone is complaining, and balance is mentioned as a flaw in a particular game. Although I often felt something buzzing in the back of my mind, just beyond the realm of conscious thought, as a glimmer of an idea that there was something I didn't quite like about the idea of balance, I'd never given the concept a lot of thought. But seldom have I found anyone devote an entire article, essay, or other body of writing specifically to the topic of balance. Back on 10 January, the blog 'The Angry GM' wrote an entire article entitled 'A Trifecta of Unbalance.' It is a bit on the long side, but I highly recommend that you read it if you have a chance to do so. The author addresses the issue of game balance head on, and describes concretely what had previously only been mentioned as a subset of a different topic. Specifically, he details what game balance is, what it is not, how precise it can be, the reasons behind these facts, and most importantly, the three different types of balance.